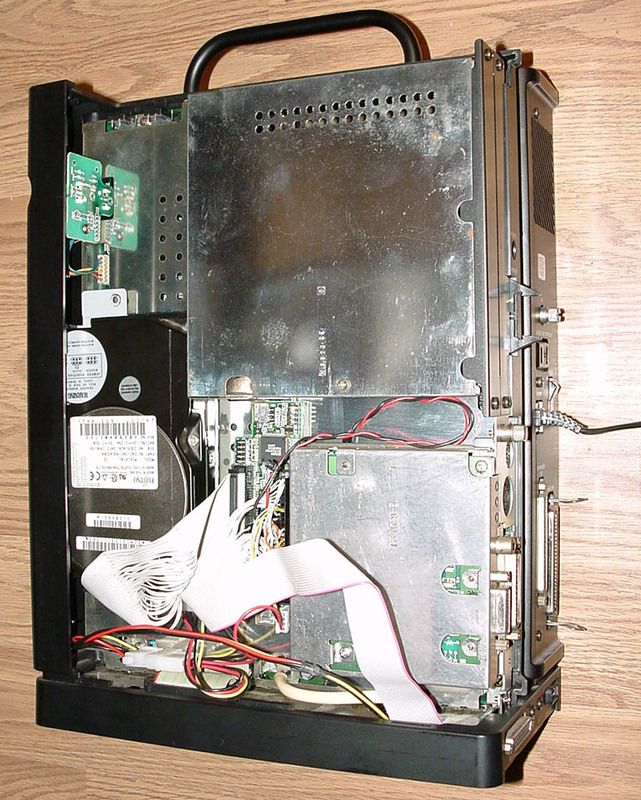 Every model of X68000 (except the original and Compact models) was designed to take an internal hard drive. The internal connector differs between the SASI and SCSI models, but the basic installation is the same. If you have a replacement power supply that sticks into the hard drive bay, you can still install a hard drive in the other half of the case. It'll be very cramped though, and you may want to invest in a solid-state setup. If you don't already have an internal HD cable, you'll need to make one. The cable has a daisy-chain arrangement with two 20(or 26)-pin connectors at one end, a 50-pin connector at the other, and a small LED connector cable. The distance between the two smaller connectors should be about 14CM, and the rest should be as long as you think it needs to be. The first smaller connector goes into the motherboard, the second goes into the external SCSI connector board, and the 50-pin connector goes to the hard drive. The LED connector of course goes to the hard drive's LED header. The hard drive power connector is a custom 3-pin job like the floppy drive power connector, except it's pinout is different. Fortunately the colors of the wires are consistent and it should be easy to change the connector to fit a normal drive. If in doubt, check your work with a multimeter. If your hard drive is in the other side of the case, you'll have to make a cable that goes in the opposite direction and runs through the baseplate. You'll need to trim some of the RF shielding to make this work. You'll also have to splice a standard 4-pin drive power cable and run it through the baseplate as well. If your machine didn't come with a mounting plate for the hard drive, just salvage a mounting plate from another machine and use velcro to secure it in the drive bay. If your drive is in the other half of the case you'll have to do this regardless. 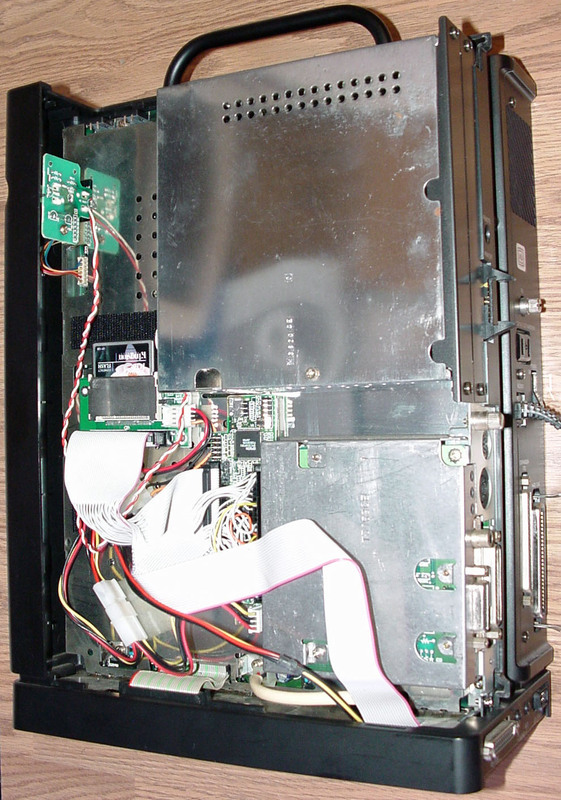 The drive LED may or may not work as it should, especially on SASI machines. If after being hooked up properly it just stays on or off all the time regardless of HD activity, then it may be necessary to modify the LED board. SASI models will be somewhat limited in terms of what drives can be used. First and foremost you'll need a drive that doesn't require parity (if you don't want to build the parity faker circuit). Even then, you'll run into plenty of drives that just won't work even though they can have their parity disabled. You'll really need to install the SxSI driver if you want to use a SCSI drive on the SASI bus. It is believed that there are drives out there that will work without it, but they're certain to be very old, increasingly difficult to find and very small.